I have always felt that a person should know everything. Clearly this is an impossibility and will never be accomplished in one lifetime, but there’s still a tremendous amount to learn and ponder and understand. It makes you much more interesting. I have always, rather pompously I must add, considered myself something of a Renaissance Man. This is one of those horrible names given to people who love learning and have a way of knowing a bit of everything. My specialties are for language, cooking, writing, history, and travel. 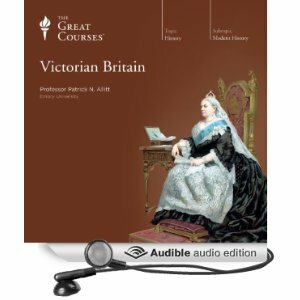 The more you learn the more you need to learn and suddenly you find yourself listening to eighteen hours worth of lectures about the history of Victorian England. It was wonderful to learn more about Queen Victoria and the social conditions of her reign. New books were suggested to me and I learned even more about the era of exploration along the Nile. Now I am listening to Heart of Darkness to get a better depth of understanding about the English empire’s stretch into Africa. I highly recommend this lecture series on Audible. It was great good fun. Camels are one of my very favorite animals, and I have long wanted one as a pet on my country estate. If you get the right breed, they are quite content in Iowa’s ridiculous weather that can vary from 100+ to -25. I hate it here. I think it’d be rather charming to have a camel or three leisurely walking around the place, happily mingling with the kittens. I think about the camel I rode in Giza regularly. Bob Marley was a beautiful beast. This entry, though, has sadly nothing to do with the actual animal.  It has to do with the color camel, which was originally the name of a very specific coat. Since then, it has spread to be used in many other applications. I put a camel leather grip on my work binder, which really did a lot to bump up how classy it looks. I need a camel trench coat by Burberry — a purchase I keep putting off. I need some Saint Laurent shoes first. And I’m currently obsessed with this camel iPhone cover and I may treat myself to it the next time I get paid. Camel is just perfect. 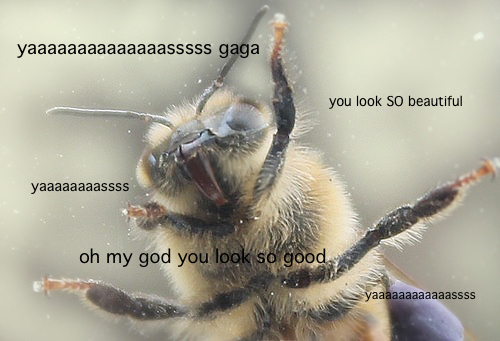 When Lady Gaga came out on the Academy Awards, looking so very beautiful and singing so spectacularly, I found myself screaming like that bee. She was so wonderful! And then as Julie Andrews came out, beaming radiantly and hugging our Lady…well, something must have gotten into my eye. It was a perfect moment. A Gaga highlight, but not an unexpected one. Most people are stunned by Gaga now because they assume she’s just an auto-tuned maniac, which those of us who have been there from the beginning know to be a fallacy. I’ll admit that ARTPOP wasn’t really my favorite thing in the world, but that didn’t diminish the power of her earlier works. Born This Way was and will forever be one of my favorite albums. I went to an album release party for it in Paris and that was my soundtrack for the summer. When I was out on one of my midnight strolls through my favorite town, I was blasting that stunning album. I’ve long known she was a capable singer, so I am just so pleased that more people are waking up to that fact. If you were unaware, you must get your hands on the album she did with Tony Bennett at once. It is flawless, just like her. I watched Woody Allen’s movie about Rome last night, which was not great. I didn’t understand it, actually. Maybe that’s because I was overwhelmed by Lady Gaga’s fantastic performance during the Oscars. Still, I don’t think the film would have made much sense if I had been paying total attention. Why is Alec Baldwin all over the place? Did I miss some subplot? I did laugh when Woody Allen said that he sounds just like Eartha Kitt when he sings in the shower, though, but then they really beat that stereotype of singing in the shower to the ground. There was a man being hounded paparazzi for no apparent reason. Another little story featured a newlywed couple who got lost from each other for the afternoon and didn’t seem all that concerned. Another scene was annoying American students being annoying. It was a terrible film. Still, I couldn’t help but find myself delighted by the lighting in the film. It’s perfect. How do they do it? I need to hire them to light my house and my life and all of my selfies. I want to be doused in that warm yellow light all my life. It’s just absolutely perfect and so typical of Woody Allen’s more recent films. Movies don’t have to be completely realistic. They’re a fantasy and I want to live in a fantasy world with that light. My mother bought me a box of these wafer cookies a week or so ago to try, and unexpectedly, I enjoy them tremendously. Odd, since I don’t like wafers at all. I always wonder why anybody would buy a cookie that tastes like styrofoam and has the exact same texture as styrofoam. 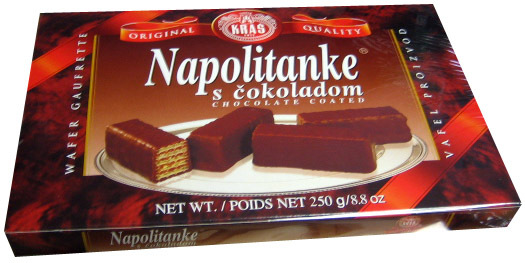 These cookies are a Bosnian import. Between the wafers are thin layers of chocolate or cream of some kind, and the addition of the wafer makes the wafer much more palatable. I assume there is some kind of transformation due to the moisture of the filling, in the same way that I would never eat a plain macaron shell, but when it is filled and given an evening to maturate, the water content of the ganache or buttercream oozes wonderfully into the meringue, creating something new and unique and perfectly delicious. I think I’ll make macarons this weekend. I’ve been meaning to experiment with freezing them. But back to Napolitanke! You can get them at Walmart and they make your afternoon cup of espresso even more pleasurable than it already was. Go shopping in the ethnic aisles, reader. It’s happened, reader, I have been given official clearance to enter the White House on a tour next month. It had taken so long to get a response that I assumed my request was denied. It wasn’t! I am absolutely ecstatic to go; it seems like something every citizen should do at one time or the other, like touring Buckingham Palace or the Élysées Palace. Then I saw the time my tour was scheduled for and I choked on my Moroccan mint tea. 7:30 in the morning! What madness is this? Will the president even be awake? Will Bo be frolicking around the front lawn? Won’t Michelle still be snoozing away? I wanted to bump into her exercising or nibbling on organic fruit! I shouldn’t complain, though, I guess that March is an incredibly busy time in Washington DC. Who knew? Still, I think this is a bit of a plot against me. 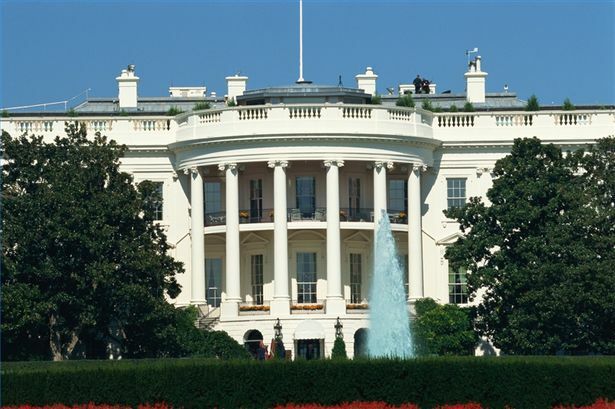 To gain access to the White House, you have to submit an application to your senator. Mine just happens to be a right-wing lunatic. I assume that his staffers looked into my liberal viewpoints and decided to take a bit of revenge on me for my voting habits by scheduling a tour at that hellish hour. Whatevs, though, nothing like a brisk walk through an historic building to get your day started. From the first announcement of this Daniel Radcliffe film, I was intrigued. Why did Harry Potter have horns sprouting from his head? I finally watched it last weekend, and I was left shaking my head. What a ridiculous picture that was! It was one of those modern movies that I loathe; you know the type, the ones that are full of intriguing mysteries but never answer any questions. They leave you wondering what the point was and how it was possible. Lackluster storytelling is one of the most offensive things in the world to me. It’s not hard to tell a good and complete story if you have a grain of talent. This is all the more unfortunate because Horns had potential to be a really intriguing movie. The acting was excellent and the camerawork was good and the script itself wasn’t terribly written. I laughed, I jumped, I was intrigued…and yet at the end, when Daniel Radcliffe turns into a nonsensical fire demon, I was left glowering. Don’t waste your time, unless you have time to waste, or you’re a diehard Radcliffe fan. I am not going to get into specifics on this because one of my classmates might read this blog at some point. Still, I cannot hide my hatred. It has been fueling me. 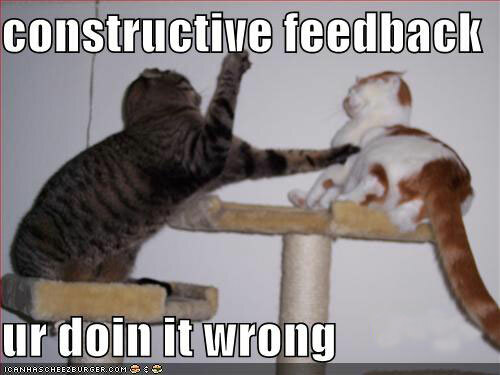 In my Composition class, we have to edit a few of the essays written and give feedback. I’m not humble, clearly, but I’m not embarrassed to brag and say that I know a bit about grammar and writing. It’s something that I have taught myself over the course of a decade. So, my essays generally don’t need much embellishment. This is quite the opposite of the papers written by the people I work with in college. Paragraphs go on for miles, words are inappropriately spelled and capitalized, commas are thrown out with disregard and put places they have no right to be. On the last essay, I printed them out and there were more corrections than original work. It was a catastrophe. My essay received 100% and a compliment. I’m not bragging. I have to edit two more tonight and I have been putting it off until the last moment. I will need gin for this. I am so offended and so deeply upset. 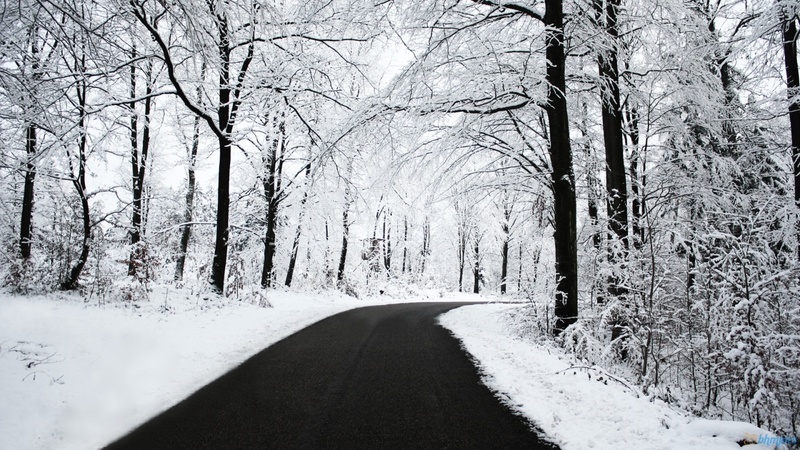 The weather called for a blizzard, they called for unending snow and low visibility. Of course I was annoyed; I hate winter, after all. But, I was fully prepared to accept the blizzard with open arms. I was thrilled at the prospect of an earlier early out. I like my job and all, but snow days are a great perk when you don’t have to make them up. Yesterday morning I nearly leapt out of bed, threw on some comfortable clothes, whipped my hair back into a slick ponytail, and happily went to work — assuming that I’d be turning back around in an hour or so. Other schools all over the place were canceling and getting out early, but nothing at all seemed to be happening here. The snow didn’t fall. I looked at the radar, and the snow had formed a great circle with us in the middle. Maddening! It didn’t snow until about two o’clock in the afternoon, and even then, it didn’t snow but an inch. I had a bit of hope that this morning would be a late start — my favorite kind of snow related cancellation — but it was just not to be. This is more disappointing to me than Beyoncé losing best album of the year at the Grammys. I feel personally attacked by this failed blizzard. I am a victim. Love that you love the cookies and the chocolate.